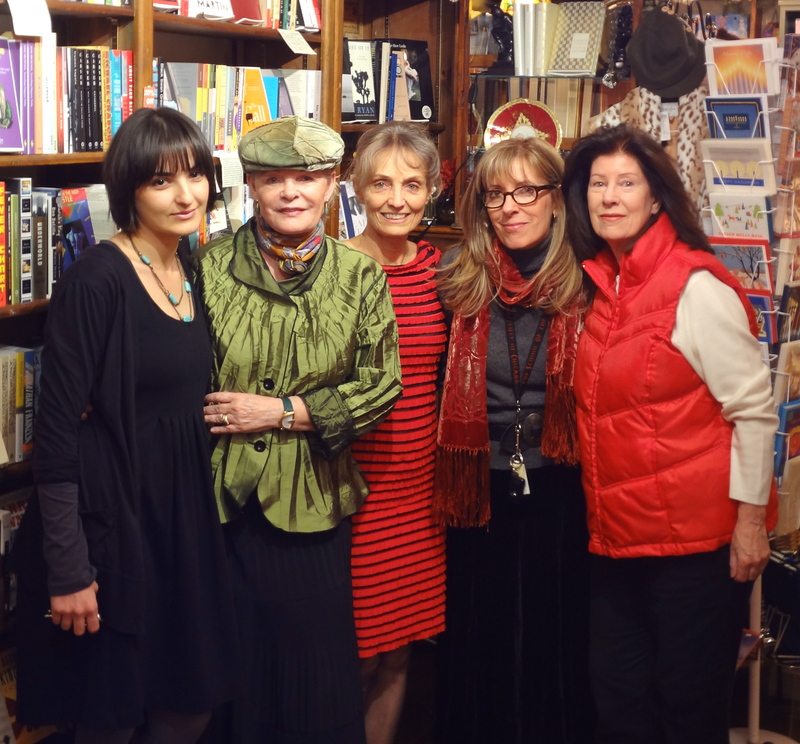 After 26 glorious years, 14 of them spent happily inside Aroma Café, Portrait of a Bookstore is gracefully retiring. How could we say goodbye after 26 years of such success? In the words of Orson Welles, “If you want a happy ending, that depends, of course, on where you stop your story.” This is our happy ending. Our official closing date is May 17, 2012. 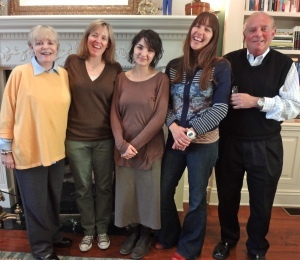 On May 17, 1986, Julie and Frank von Zerneck, along with their children Danielle and Frank, Jr., gave birth to this bookstore, which grew to be a haven, a home-away-from-home, for so many members of this community. 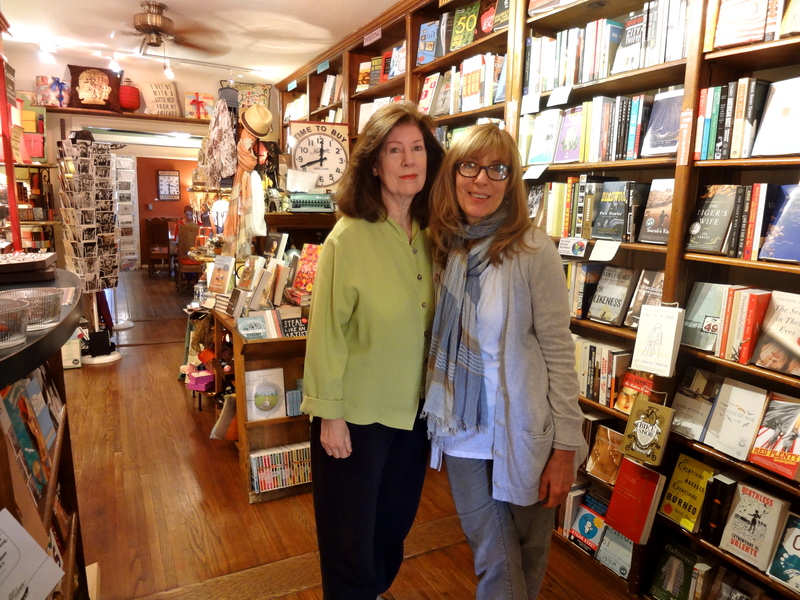 One of the smallest bookstores in the world, “small but mighty,” as we’ve always been called, our selection of books was impeccably curated, worthy of the praise of any astute bibliophile. 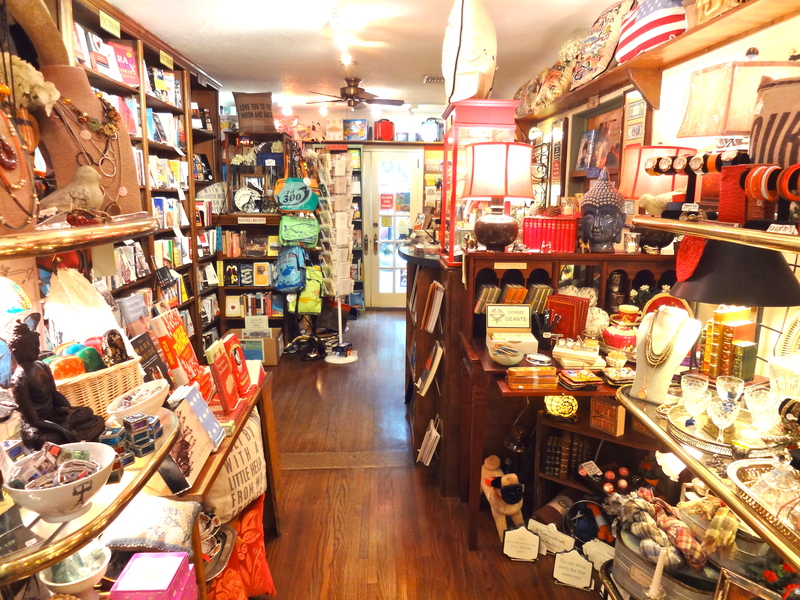 Our gift shelves were always laden with the best greeting cards in town, beautiful toys, jewelry, gifts for the home, gifts for readers and writers, gifts for the heart and soul, even gifts for people who had no more use for gifts. Each of these was chosen with the utmost care, with our beloved customers’ tastes and needs in mind. “Everyone who walks in through that door is a guest in our home,” has, for all these years, been Julie’s mantra. And, indeed, this was our home and you have been our family. Over the years, we have watched local writers work in our garden on their manuscripts, get published and arrive on bestseller lists. We have watched babies come into the world, learn to read in our children’s nook and grow up to start families of their own. We have cherished every moment of our time in this community. Surrounded by love, support and inspiration for the last 14 years inside Aroma Café, we have loved, most of all, being here to listen to each person passing through share the details of their lives with us. Each of you has been incredibly special to us. We will remember forever and ever the years that we were blessed enough to live at 4360 Tujunga Avenue. Thank you, each and every one of you, for the years, the memories and the love. Every wonderful thing in our store will be 50% off starting April 16. The hugs will be free. …taking pictures in an abandoned way. 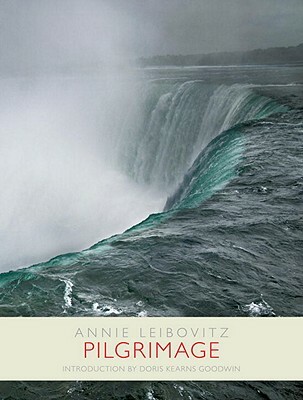 Pilgrimage took Annie Leibovitz to places that she could explore with no agenda. She wasn’t on assignment. She chose the subjects simply because they meant something to her. The first place was Emily Dickinson’s house in Amherst, Massachusetts, which Leibovitz visited with a small digital camera. A few months later, she went with her three young children to Niagara Falls. “That’s when I started making lists,” she says. She added the houses of Virginia Woolf and Charles Darwin in the English countryside and Sigmund Freud’s final home, in London, but most of the places on the lists were American. The work became more ambitious as Leibovitz discovered that she wanted to photograph objects as well as rooms and landscapes. She began to use more sophisticated cameras and a tripod and to travel with an assistant, but the project remained personal. Leibovitz went to Concord to photograph the site of Thoreau’s cabin at Walden Pond. Once she got there, she was drawn into the wider world of the Concord writers. Ralph Waldo Emerson’s home and Orchard House, where Louisa May Alcott and her family lived and worked, became subjects. The Massachusetts studio of the Beaux Arts sculptor Daniel Chester French, who made the seated statue in the Lincoln Memorial, became the touchstone for trips to Gettysburg and to the archives where the glass negatives of Lincoln’s portraits have been saved. Lincoln’s portraitists—principally Alexander Gardner and the photographers in Mathew Brady’s studio—were also the men whose work at the Gettysburg battlefield established the foundation for war photography. At almost exactly the same time, in a remote, primitive studio on the Isle of Wight, Julia Margaret Cameron was developing her own ultimately influential style of portraiture. Leibovitz made two trips to the Isle of Wight and, in an homage to the other photographer on her list, Ansel Adams, she explored the trails above the Yosemite Valley, where Adams worked for fifty years. A quiet, ruminative book, with unpretentious and absorbing photographs, perfect for any fan of the photographer, as well as every reader you know. Some wacky and fantastic things happening around here. Most notable among these is that we have put red dot stickers on so many objects that one of us had a red-dot-filled dream last night (not making that one up!). Red dot means 40% discount. On all the things you’ve been coveting. And the things you don’t know you’ve been coveting. Also, the things I’ve been coveting. It’s a happy time no matter how you look at it. 10am to 10pm. But if you come at 10:10pm and you look even a little hopeful, we’ll let you in and hand you the broom. Then show you what’s on sale. 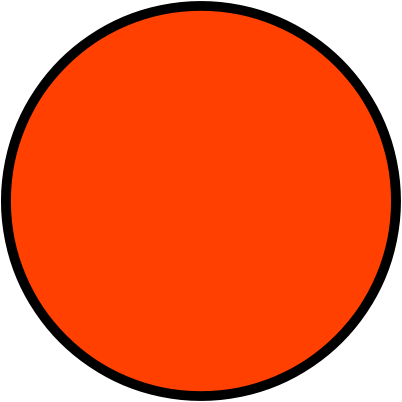 This is what a red dot might look like. At the repeated urging of Doug Dutton and my friend and co-worker, BJ, I finally picked this up at the library. Do I love it? No. Is it great? No. Can I stop reading it? Absolutely not. I wait for my daughter’s nap so I can snuggle up next to her and speed-read this with cookies crumbing up the bed next to me — summer candy! This is what I read in the evenings. Best thing I’ve read in a longggg time. Stellar, masterful, brilliant — it deserves far better descriptors than my sleep-deprived brain can conjure up at the moment. I did a little better here. We tried this one as a read-aloud in the evenings, but both of us kept stealing away with it and speeding ahead. It’s a race to the finish, which I’m sure Micah will win. I read this article about Martin Kohan in The Guardian some months ago, and I immediately ordered a copy in the original Spanish for Micah. It finally arrived yesterday! I’m hoping it’s as good as I expect it will be. We have the brand-new English translation at Portrait. Our latest library-favorite, this is a nice book for very little ones — a real storyline, great illustrations, and just a little text on each page. join us for an evening of discussions, readings and a question and answer session, moderated by the editors of the book in question, Kate Gale and Veronique de Turenne. 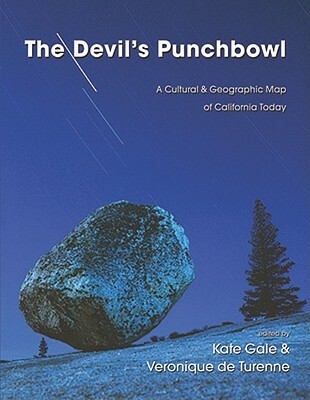 The Devil’s Punchbowl: A Cultural & Geographical Map of California Today is an anthology edited by Red Hen Press’s Managing Editor, Kate Gale, and Los Angeles Times reporter and editor Veronique de Turenne. Essays were commissioned from writers living in California, who were asked to reflect on an aspect of the state’s geography, natural or man-made: Alcatraz Island and its prison; Manzanar and Mt. Whitney; Big Sur and Joshua Tree; Los Angeles’ oil derricks and Mountain View’s Google headquarters; the farms of the Central Valley and the redwoods of the Northern Coastland. Does Alcatraz, from its important role in Native American activist history to today’s defunct prison, retain meaning beyond a tourist attraction? How is the expanding border fence between Southern California and Mexico affecting, economically and psychologically, the individuals who live near it? California’s outsized cultural and economic impact on both our country and the rest of the world necessitate a continual taking stock, to prevent losing ourselves in the state’s constant transformations. The Devil’s Punchbowl captures a pivotal time in our country’s history, as some of the state’s most recognized, complex, and accomplished writers describe their relationship with California’s ever-changing geographic, economic, and psychic landscape. Call (818) 769-3853 with questions. I’m grateful for Julie, who never goes anywhere without a cloud of flurry, zeal and good tidings following her, who is energy and optimism epitomized, who makes us all feel like we’ve come home; and Frank, who is the ever-present rock upon which the machinations of this little store depend. And Danielle and Frank, Jr., who keep us famous. And Danielle’s beautiful daughters, Martha and Irene, who remind us that this is not only a small business, but a small family business, the rarest of things these days. I’m grateful for Lilly, who is beautiful and smart and funny as hell. Who can make me laugh with a mere wrinkle of the nose, who picks up lovely leaves and writes my name on them, who draws me funny pictures that I find at only the right times, when they are of most use. Lilly, who drives me crazy, without whom there would be a gaping hole in my day. I’m grateful for Kevin, who is a genius. Kevin, with whom having a conversation is a wonder. Kevin, who can alphabetize properly and show up, without fail, in moments of dire need. Kevin and his curly, at-capacity head. I’m grateful for Jane, who is magic. She is magic and that is all that I can say because you can’t talk very much about real magic. I’m grateful for Lucia, who catches all of my mistakes and makes none herself. Lucia, upon whom I depend for a cooler head, a more level temperament, and, well, competence. Competence when mine is sorely lacking. And there’s just, you know, something about her; this nobody can deny. I’m grateful for Donna, who I am in constant, 24-hour-long, awe of. Donna, who is an elegant, well-dressed ball of light and joy for me, no matter the occasion. Donna, who makes me feel old and makes me want to try and be young again. I’m grateful for BJ, my very own personal dude, who makes my heart fill with goodness. BJ, who calls me with a question, but makes sure to tell me she loves me before she asks it. She makes me want to permanently hug her and never let go. I’m grateful that I am able to be filled with love for these people. I’m grateful for you, reader. I know at least one thing about you and I am very grateful for that. I’m grateful for the loons, sages, curious and kind people who pass through our lives and our store each day and make sure to note that they’d rather order their book from us or purchase a present for someone, from us, than anyone else. I’m grateful for that which brought us all together: the written word. I’m grateful I have a book to finish reading when I close my computer and grateful that I have countless others to open after that one. 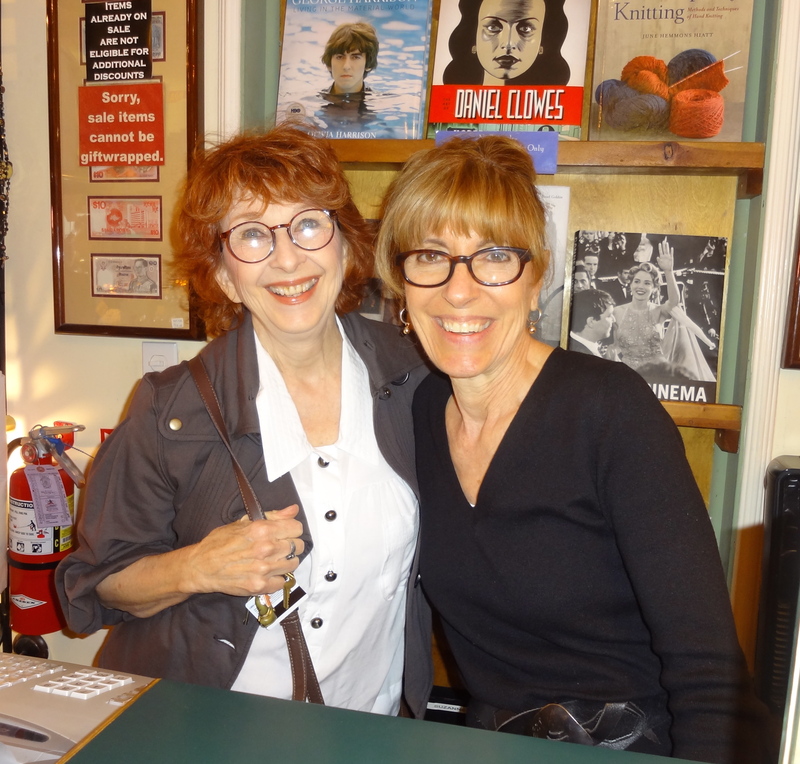 I’m grateful books exist and require bookstores to house them and booksellers to be their guardians. I’m grateful for this bookstore in particular. This bookstore, which has thrived for almost 25 years and, if there is any justice left at all, will thrive for hundreds more. This is such a selfish holiday, isn’t it? If there is only one thing that you’re thankful for, it’s enough to nourish you. And gratefulness nourishes you first, before anyone else. Call me an old fogey but I have just recently tired of novels with random plots, mini stories of sundry characters, and storylines that I have to work too hard to “get into”. Don’t get me wrong, I appreciate the creativity and mental challenges many contemporary writers present, but for relief I have delved back into some of the writers of the 1950’s and 60’s. Two of my favorites are Philip Roth and John Updike. “My Father’s Tears” by Updike is a book of short stories and the last work published before his death in 2009. It’s a wonderful collection of polished solid stories- by this I mean they quickly draw you in and compel you to stay. The subjects vary from a family on vacation in Morocco in 1969, innocent in their abilities and expectations, to a 50th high school reunion and a remembered walk home with a “first love”. I could fall in love with his story titles alone: “Spanish Prelude to a Second Marriage”, “Delicate Wives” or “Free”. Each piece is like a wonderful meal complete with dessert. For further reading of Updike I highly recommend his Rabbit series. I believe it appeals because it illuminates that which makes men tick, in all their confusion, angst, good intentions, attempts at love. Rabbit, as I see him, is the universal man of any time or age. Whichever story(ies) you choose, both authors give you snapshot after snapshot of a place and time and the beating hearts of each. These snapshots come equipped with magnifying glasses which illuminate the soul of what is truly American. Excuse me. I have a Question. The Other Day at Portrait… · Pigs flew, Hummingbirds swam, and We created a Blog.